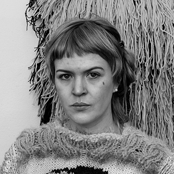 Emelie Röndahl is this year’s guest of the ‘’Designer in Residence’’ program, realized by Nova Iskra in cooperation with, and supported by IASPIS. She will present a workshop titled ‘’RYA’’, which is the name of the specific weaving technique that Emelie works with. Since 2014, Nova Iskra is participating in developing the Create in Residence platform, whose integral part is our program DESIGNER IN RESIDENCE. Year after year, the program is gathering new organizations, so today collaborations are spanning Slovakia, Germany, Sweden and France. This year’s participants of the program are Karkatag Collective from Serbia, who are staying in Marseille during November, Charlotte de Sedouy who is going to be in Belgrade at the same time, as well as the Swede Emelie Röndahl. For the moment, she is taking part in the 4th Istanbul Design Biennial, creating a collaborative weaving project with participants from all over the world. The project is called Google Weaving Stop-time. Google Weaving Stop-time is an online artistic weaving project in which weavers from all over the world share weaving experience, focused on “ghiordes” embroidery (turkish or rya embroidery). All of the participants have made at least one tapestry, based on the interpretation of a photo from the Internet, using the words “textile labor Turkey” in the Google image search. All of the tapestries were exhibited together, imitating the algorithm of the Google search. The exhibition is currently on display in Istanbul, as a part of the 4th Istanbul Design Biennial (http://aschoolofschools.iksv.org/). This November, Emelie Röndahl will also realize an exhibition at the Transformart Gallery in Belgrade. The opening of the exhibition is on November 10th at 7PM. Emilie’s two-month residential stay and workshop are realized with the support from IASPIS. The workshop is aimed at everyone interested in this kind of weaving, while the capacities are limited to only 20 participants. Everyone interested in participating in the workshop should apply until Thursday, November 1st at 12PM, by filling out the online form http://bit.ly/2PvLDFq. Capacities are limited to only 20 participants, who will be notified of their participation in the workshop by the end of the same day. Those who receive a confirmation of the participation need to follow the instructions for payment of the cotisation of 1.800 RSD. The cotisation covers the costs of the workshop and needed materials – wooden loom (A3 format) and wool. The participants will keep their project from the workshop. All participants will be notified about the location of the workshop and other details after they make the cotisation payment. Emelie Röndahl is currently undertaking PhD studies in Crafts at the Academy of Design and Crafts (HDK) in Gothenburg, Sweden. She also studied traditional (Swedish) weaving for two years at two different Folk High Schools, a Scandinavian institution for adult education that functions as a preparatory scheme for higher crafts education. For the moment, she is taking part in the 4th Istanbul Design Biennial, creating a collaborative weaving project with participants from all over the world. The project is called Google Weaving Stop-time.